1. On December 5, 1901, Walt Disney was born. Have you been to Disneyland or Disney World? Can you share a favorite Disney memory? Karl and I went to Disney World for our Honeymoon, I had never been, it was a great trip, but when Josh was 5 years old we took him to Disney World and it was pure magic! I loved it so much. We stayed for 2 weeks. 3. The very first fairy tale that Walt Disney made a cartoon about was Little Red Riding Hood. Did you enjoy fairy tales when you were a youngster or did they scare you? Did you have a favorite? I do love fairy tales, I think I like Cinderella the most. I was reminded of Goldie Locks and the Three Bears as I was out visiting. My dad used to tell that to me when I was young, so I have a special fondness to that one also. I also feel like Goldie locks when I am shopping for furniture. 4. In Lady & the Tramp, Tramp’s real name was Butch! Do you have nicknames for your fur-babies and/or for your children? Yes, I call Mandy- Mandy Pants, Molly is Molly Sue, and I call Meisha "Louise" which is her middle name. She seems to understand both names. I do not call Josh by nicknames much anymore. Today is Meisha's 8th birthday! 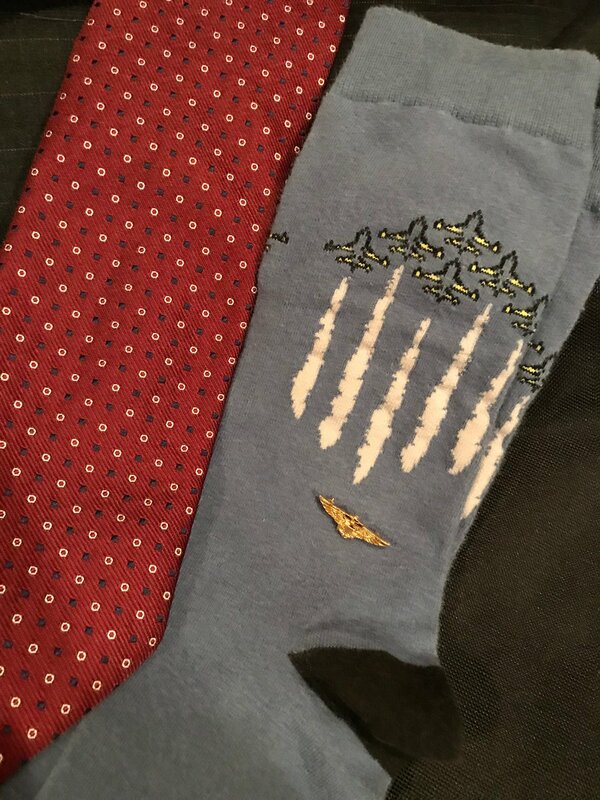 I do not have any Presidential socks! I did not know that was a thing. I am so glad you wrote about this! I was able to check in and watch his memorial that was on tv today, I streamed it some at work on my phone. What a great President! 6. Please tell us something random about your week! Our cleaning is coming along nicely! We got the shed, spare room, laundry room and our closet cleaned out. They look amazing! I am sure we will fill them back up again now. :/ I think we are finished, so we can have the trash company come get the dumpster. It was a small one, but we still needed to finish this cleaning I started back in the summer. It makes me feel so good and organized! Thanks for joining in on the Medley today! I have really enjoyed reading everyone's Disney and/or roller coaster memories! 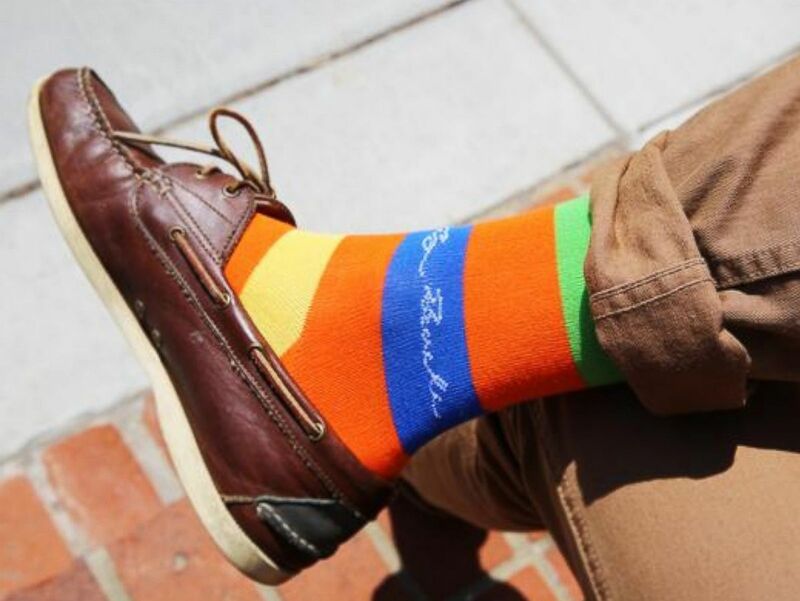 Colorful socks have been fun answers too! Happy hump day! Would be easier if they left the dumpster and took my house. I LOVE being organized! Makes me feel so much better about everything!!! I watched the whole memorial and funeral for President Bush. I agree he was one of the nicer ones. Not caring much for heights I never rode a roller coaster and now at my age I will never ride one. LOL! It always feels great after you have the cleaning done and everything sorted. Have a blessed day ahead dear Lori.